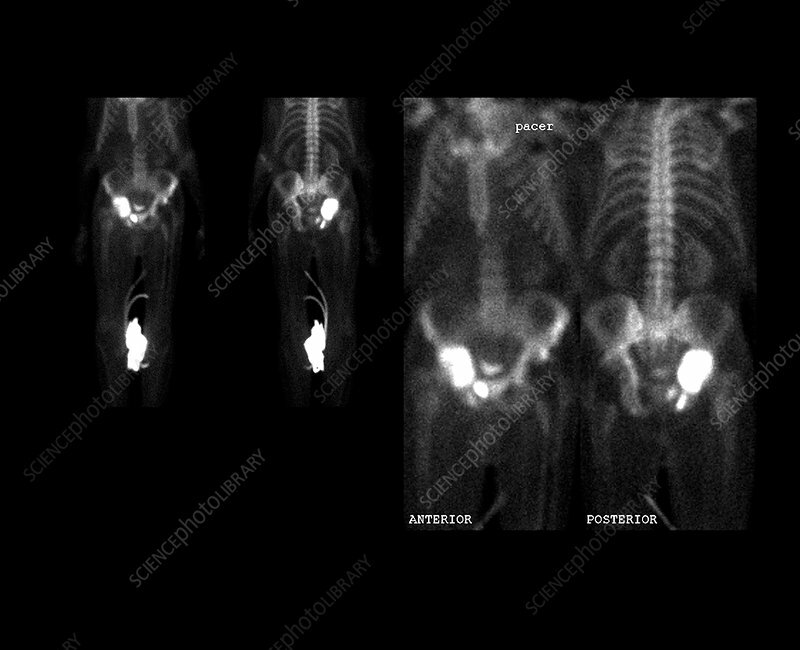 This composite set of images from a nuclear medicine bone scan shows an intense region of abnormal isotope uptake in the right acetabulum of the right hip region. This represents a metastatic deposit of cancer. Also note the darker area (decreased uptake) over the left chest which represents a pacemaker device which attenuates the activity in this region.